Festivals are fabulous. The music, the art, the dancing, time with my friends, the chance to learn about other cultures, and the chance to blow off steam. But there’s something extra special about festivals, and that's because they are places of love, light and learning. 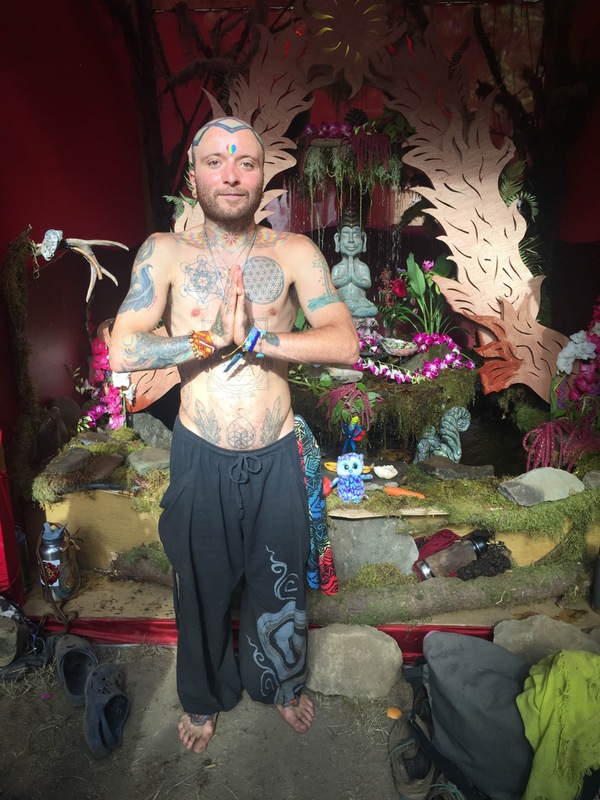 Festivals are places we can grow and connect – together as a community and individually – and one of the best places to do that is by visiting the altars that are present at many music and cultural festivals alike. What exactly is an altar? To put it simply, an altar is a place of offering. You can find them at many conscious gatherings and music festivals, like Symbiosis Gathering, Lightning In a Bottle , or Beloved Festival , or cultural festivals like Thailand's Songkran , or Mexico's La Calaca and, of course, Día de Los Muertos . Traditionally they are associated with religion but certainly don’t have to be. It is a dedicated platform or structure designed to inspire and hold items of sacrifice, contribution, offering and intention. Altars can be personal or communal. 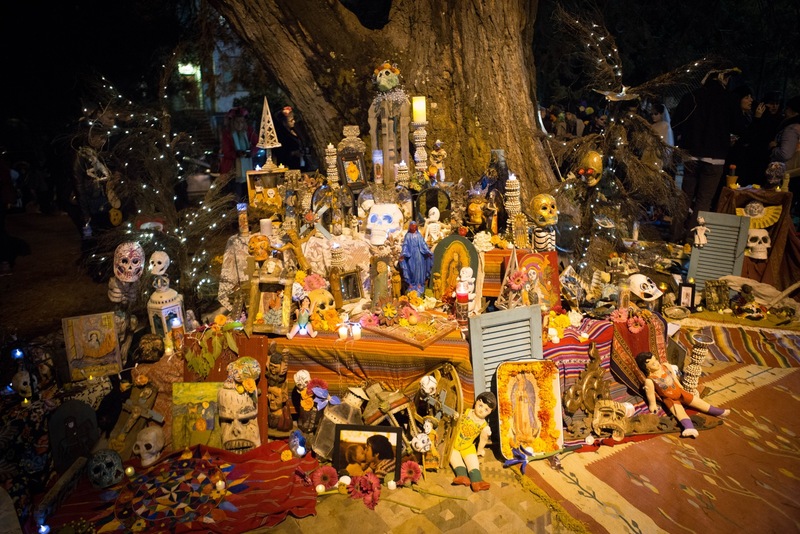 But the aspect of festival altars that can be the most powerful is they are often collaborative. You can watch a festival altar grow and be shaped by those who visit it, making it a beautiful and tangible reminder of our interconnectedness. And amidst the glitz and glamour of festival follies, they offer a respite from the revelry and a chance to do the personal work many of us travel to festivals to accomplish. 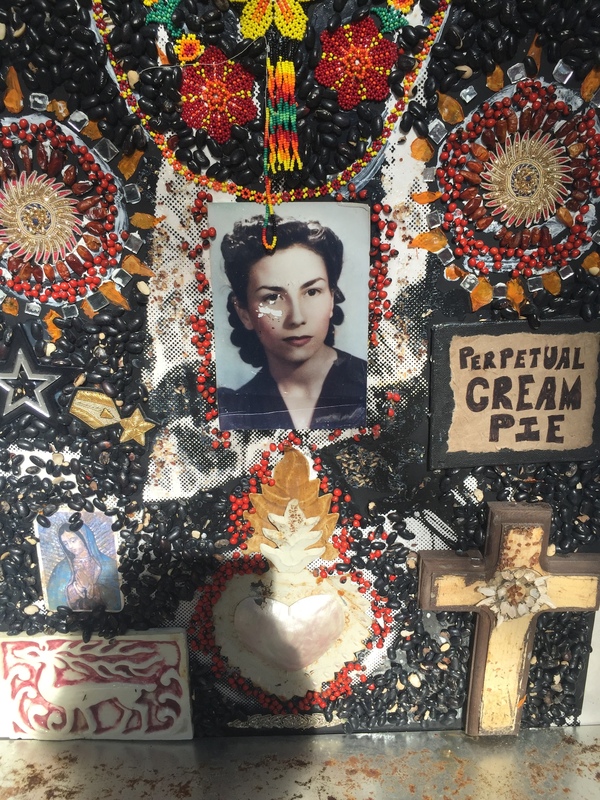 Whether it is grieving the loss of a loved one, or learning how to empower ourselves, altars can accept our offerings and also emanate powerful energy to help us on our quests. So, what do we offer? Sometimes we offer beautiful trinkets or mementos that are meaningful to us. You can spot all sorts of items on altars: feathers, stones, shells, wood carvings, divination tools, candles, incense, images or icons, vessels of water, plants, beads or rosaries, representations of the four elements...the list goes on. Sometimes altars are works of art, with every visitor encouraged to contribute. Sometimes they are places of concentrated energy, where visitors come to release what no longer serves them, or absorb what they lack. There have been times at a festival when I visit an altar simply to offer my gratitude for the amazing experience. Other times, all I had to offer were my tears. But one thing is true of anything that we leave at the altar: It will remain for others that come behind us. We infuse these places with our energy and as a result, they can become almost magical – and they don’t have to be made of gold to get there. We occupy a fascinating time in history; never before have we had access to so much, so easily. But as a species, we are fighting some of our most important battles. The fight to protect the planet, the fight to elevate our consciousness and the never ending quest to understand what we can make out of this fleeting experience called “life”... these are big questions, and for some of us in the festival community, considering them is crucial to the journey and experience of festival life. But we can only receive so much knowledge when our minds are cluttered. When our souls are struggling, we can’t absorb all that festivals can offer. Sometimes it can be hard to carve out time or space to do the heavy lifting, to arrange our inner selves to make space for light and love to enter. Altars can offer us that chance to set down our troubles, and maybe even pick up a little momentum to move forward. I remember feeling particularly pensive at my last festival. I was struggling with some big questions in my life and felt that I needed some time to just think. I broke away from my friends to take a stroll, when I came upon a small structure made completely of old tin cans and wood. It doesn’t sound glamorous, but it was so beautiful. I stood and looked at the cans all strung and hung together in an elaborate pattern and thought about how much time it would have taken someone to find all those old cans, shine them up, and create something stunning. It was as if I could feel their intention and encouragement for me enjoy it. There was a small platform at the bottom filled with the traces of those who had visited before me. There were small handwritten notes, photos, and pieces of costumes. There were herbs, candles, jewelry – items of all shapes and sizes. Each one told a story; each one held meaning for someone, and this altar held it all. I felt inspired by what I saw: joy and sorrow and love and pain. I felt a deep sense of connection as I remembered similar experiences in my own life. I felt my mind draw inward and my energy become tranquil. And as I continued to sit, I watched people come and go. Each person enjoyed the altar in their own way, and in the bustling festival landscape, it was a welcome chance to slow down. As the festival music faded into the background, I added my own energy to the altar, offering up what hope and inspiration I could for those who would visit next. I poured out my desire for them to feel the same calm I was feeling. I allowed a sense of peace to replace my strife. I opened my heart to hope and trust in myself. I confirmed that I was on the right path and to just keep putting one foot in front of the other. And when I finally walked away, I felt light, but with my heart more full.